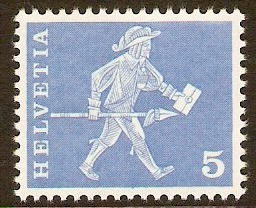 Switzerland 1960 5c New blue. SG614. Unmounted mint 1960 5c New blue. SG614. Switzerland 1960 Post History and Architecture Set. SG614-SG635. 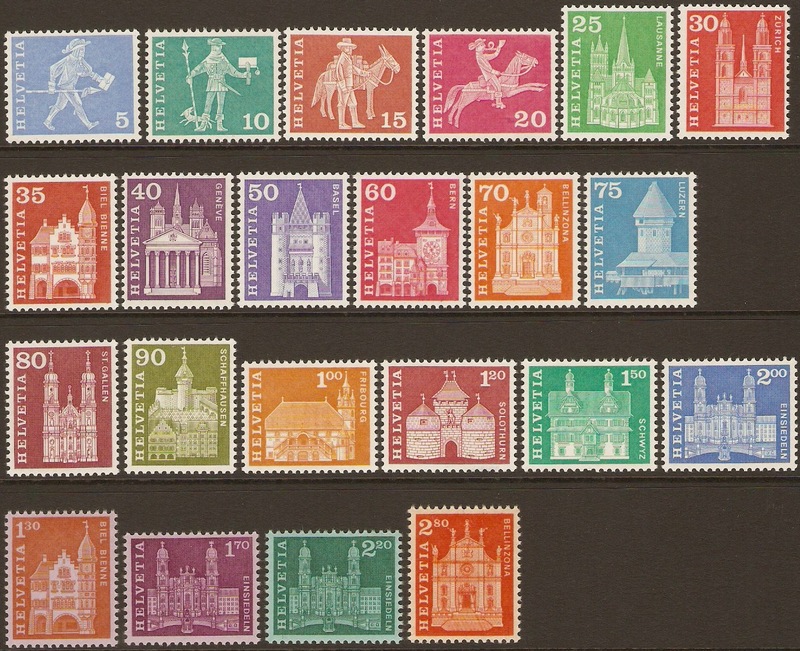 Unmounted mint 1960 Postal History and Architecture Set. SG614-SG635. 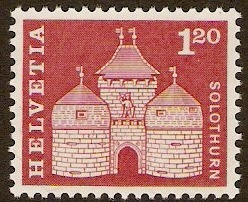 Set of 22 stamps. 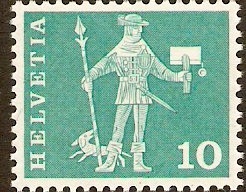 Switzerland 1960 10c Bluish green. SG615. Unmounted mint 1960 10c Bluish green. SG615. 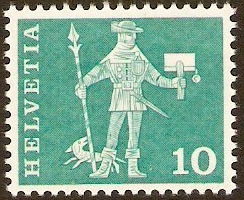 Switzerland 1960 10c bluish-green phosphorescent paper. SG615p. Unmounted mint 1960 10c bluish-green phosphorescent paper. SG615p. 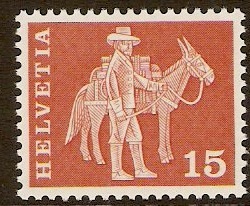 Switzerland 1960 15c venetian red phosphorescent paper. SG616p. Unmounted mint 1960 15c venetian red phosphorescent paper. SG616p. 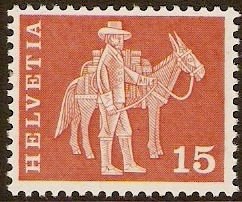 Switzerland 1960 15c Venetian red. SG616. Unmounted mint 1960 15c Venetian red. SG616. 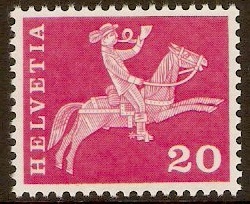 Switzerland 1960 20c cerise phosphorescent paper. SG617p. Unmounted mint 1960 20c cerise phosphorescent paper. SG617p. 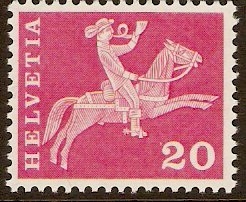 Switzerland 1960 20c Cerise. SG617. Unmounted mint 1960 20c Cerise. SG617. 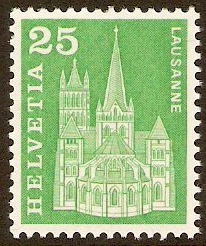 Switzerland 1960 25c emerald phosphorescent paper. SG618p. Unmounted mint 1960 25c emerald phosphorescent paper. SG618p. 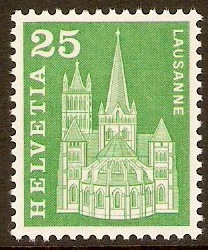 Switzerland 1960 25c Emerald. SG618. Unmounted mint 1960 25c Emerald. SG618.